Goodwin plays Rachel, an attorney just turning 30 who wants to make some changes to her life. She is perpetually single and perpetually overshadowed by her blonde and vivacious best friend Darcy (Hudson). Darcy is engaged to Dex, Rachel’s old college friend. Rachel and Dex didn’t manage to get it together back then, so Darcy charged in and snapped him up. But now Rachel reveals old feelings for Dex and they have an affair, throwing a huge spanner in the works. The situation proves difficult for Dex who has to chose between the two women. And, of course, the relationship between the two best friends will never be the same again. Hudson always does a great job in a role like this, and Goodwin shines as usual. Great supporting role by John Krasinski who is the ineffectual male friend. This is a harmless rom com with some fairly typical rom com features – cheating fiances, pre-wedding problems, best friends fighting over a guy etc. If you love your rom coms, then it’s one to watch. 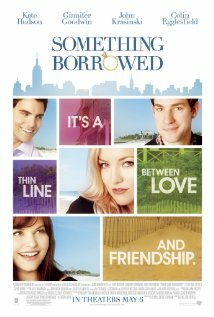 All the relationships between all the people in this movie more or less revolve around Gigi, played by Ginnifer Goodwin. She is gorgeous, but somewhat desperate, and sick to death of dating dipshits. She gets dating help from Alex who understands why men do what they do, and is willing to share that information with her so she can find love. Drew Barrymore plays the adorable and vulnerable, Mary who is looking for love in all the wrong places. Jen Aniston has actually been cast in a refreshingly different role for her, playing the stylish and mature, Beth, who already has love. Scarlett Johannson plays the beautiful and etherial Anna, who is deluded about love and attracts the wrong men. This film is about dating, loving, insecurity and expectations. All the stories fit together perfectly and culminate in Gigi finding true love. Not everyone ends up happy though, but it all gets wrapped up in the end. Rosalee (Bosworth) wins a competition in which she gets a date with mega movie star and bad boy, Tad Hamilton (Duhamel). The competition was set up by Tad’s management in order to try and fix up his bad image. Rosalee is the perfect choice for fixing up his image – she’s an unknown, wholesome, country girl, and she’s pretty to boot. After the date, Tad follows Rosalee home – he wants to be around her in order to learn to be a better person. Rosalee is enamoured with Tad, and he with her, while her friend Pete pines away with a breaking heart. When Pete finally declares his love for Rosie, it is too late as she’s leaving for LA with Tad. But is Tad her real true love, or has Pete been there under her nose all this time? This was quite a solid little rom com. Bosworth was lovely and this is the first time I’ve seen her. There was a great supporting role from Ginnifer Goodwin before she started to get her own leads. There was nothing here to really offend anyone, and it’s worth a watch if you find it on the shelf at the local video store.